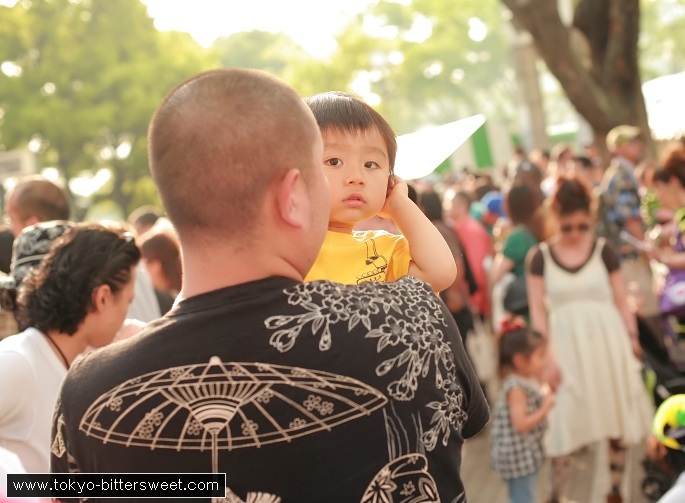 Just south of Yoyogi Park is a large public stage where often festivals, concerts and other events happen at the weekend. This Saturday and Sunday there was a Jamaican music and culture festival and I went there and took a couple of photos of the crowd. 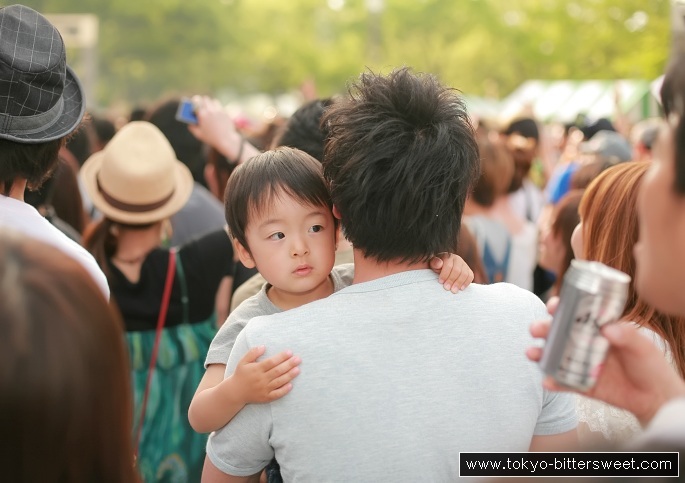 I was really surprised to see how many Japanese dads brought their young childrens to spend time with them. While a loud reggae concert is probably not the most children-friendly environment, it was nice, friendly overall atmosphere.